The Psalm at Mass on Christmas proclaims, "the light will shine on us this day. The Lord is born for us." It is the Truth that fills us with such joyful hope, even in the midst of the darkness we experience in our world, and in our nation, and even in our Church. The light has conquered the darkness, the One who is Lord and Savior. Our call is to make sure it is that Light that guides us each day, as we strive to grow in holiness and faithfulness and integrity. And we are sent forth daily to radiate that light to others. How do we do so? By loving all people without exception. By forgiving those, even those that have offended us, and by sacrificially and generously serving those who need us the most. 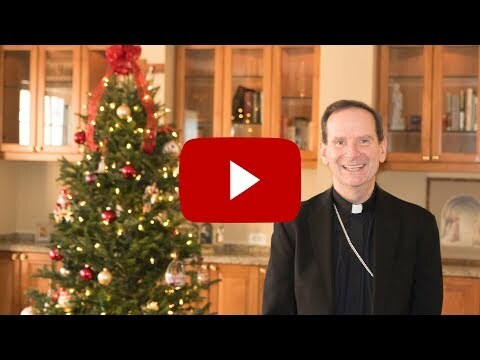 It is my hope and prayer that our relationship with the Lord will be our highest priority during this Christmas season and always, and that we will remain instruments of His peace and joy and light in our parishes, and our homes and workplaces and communities. The Lord is born for us. May He fill you with abundant blessings throughout this sacred season and every day of your life.